We often consider the bridal bouquet as the centerpiece to your whole floral design. It is the showstopper and is very likely the first thing you consider when envisioning your wedding flowers. 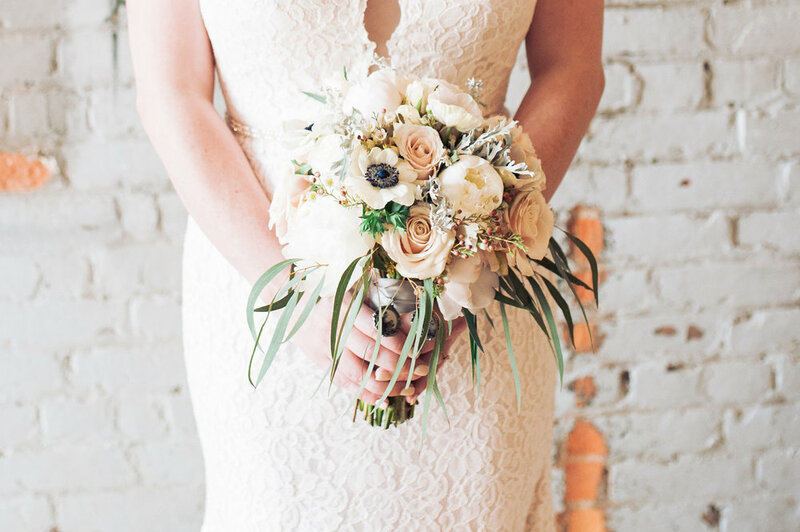 We have highlighted three different bouquet styles to give you a better idea of what look you might want for your big day. There are a number of other options for your bouquet including a flower adorned embroidery hoop, however we find these styles are most requested from our brides. Each style is not exclusive, and some characteristics can be combined to create your individual look. Posy: a smaller bouquet with a few highlighted blooms. A posy is a great option for bridesmaids or flower girls. Loose Round: overall a spherical shape with some flowers that break free. This style is more structured not as tight and formal. Also sometimes called “hand-tied”. Wild: a whimsical asymmetrical look, usually over-sized and unstructured. Greenery is used that falls naturally and this look is often highlighted with long flowing ribbons. What style are you more drawn to? Have a unique look that you want to try? We are always open to new creative ideas!